Edina HS is known for it’s prestige, distinction and tradition. Honor your heritage at Edina HS with this custom-crafted, one of a kind symbol exclusive to Edina students and alumni. 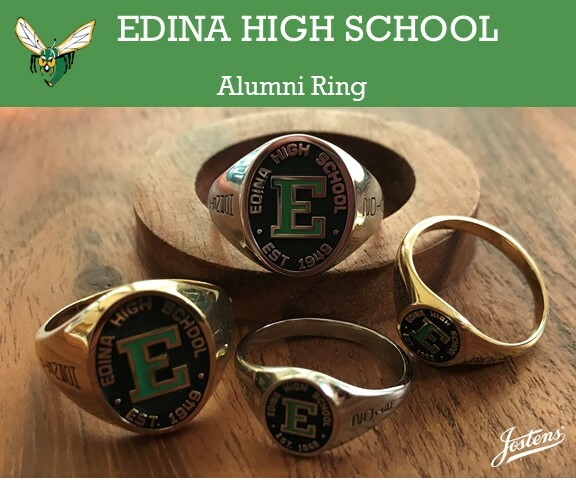 Your alumni ring purchase also supports the school with a portion of proceeds going directly back to Edina HS. Pricing above reflects current ring price for alumni. Orders placed will receive an order confirmation with taxes, fees & handling added. Once your order is processed an order confirmation will be emailed to you along with payment options. Rings are custom made, manufacturing time is approximately 4-6 weeks. Rings must be paid in full prior to delivery.